For the past 20 years, Goodwood’s Festival of Speed has shown what they call the ‘Central Feature’ in front of Goodwood House. Usually, it’s a colossal, dramatic sculpture, and it’s almost always breathtaking. 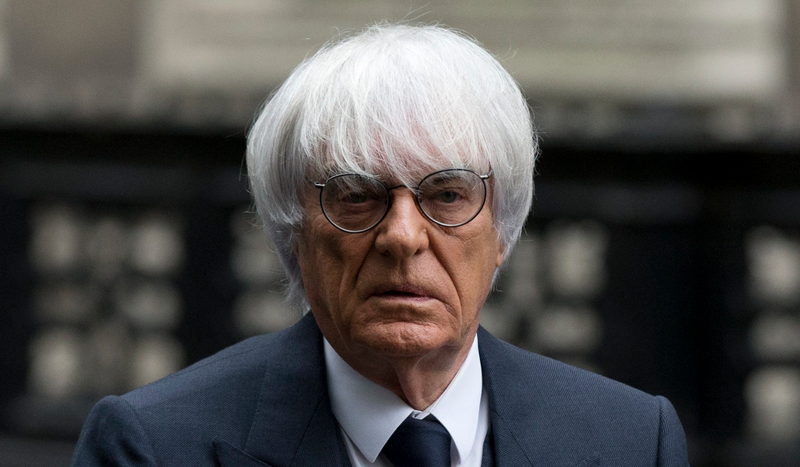 This year, the feature will be based on Bernie Ecclestone, so get ready for something sublime. Normally, a manufacturer is chosen as the subject of the Central Feature, which is sculpted by the very talented Gerry Judah. Ecclestone is a pretty controversial figure, not just because he’s not an automobile manufacturer, but more for his fondness for dictators and the crappy way he treats women in motorsport and how he sort of sucked at his job. Still, even with all that in mind, there’s no denying that Bernie Ecclestone is an achingly beautiful figure, and any sculptural representation of his beautiful, glowing essence will be something numinous to behold, possibly even to the point of being able to cure various cancers just by gazing upon whatever Bernie-based colossus is erected. Sure, it’s being said that there will be no actual Bernie Ecclestone sculpture, and instead the feature will focus on five legendary F1 cars from over the course of Bernie’s career. That, of course, would be a horrific missed opportunity, and a huge mistake. To help insure that no cop-out like five parked cars will be used instead of giving Bernie the statue he is absolutely due, here at Jalopnik we reached out to our in-house Colossal Sculptural and Office Vending Machine Maintenance division, and asked them to produce a quick concept render of what a suitably impressive Bernie Ecclestone sculpture might look like. The solution they found is dramatic, powerful, and I think lives up to the awe-inspiring, larger-than-life, almost god-like status of Bernie. It’s also surprisingly economical, since most of the sculpture can be scaled up from a mass-produced source. Ah, it really is breathtaking. I think Bernie will be delighted with this tribute to him, and this will be an inspiration to countless people across the globe. I am not ashamed of my tears, because they flow from a spigot whose knob has been twisted by the hand of pure beauty herself.